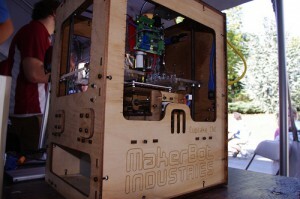 News: RI Mini Maker Faire at Foo Fest! Once again, the  Rhode Island Mini Maker Faire is coming to Providence! This year, they’ll be embedded in AS220‘s Foo Fest. There’s no additional charge to attend the RI Mini Maker Faire beyond Foo Fest’s admission price. The Rhode Island Mini Maker Faire is a community-driven, independently produced event inspired by Maker Faire, the premier event for grassroots American innovation (and the Greatest Show and Tell on Earth). The call to makers is open, so if you’ve got something amazing you’d like to show off, please hit that link. The RI Mini Maker Faire will be indoors at the Pell Chafee Performance Center, 87 Empire St., Providence, RI, 02903. 1pm-10pm on August 11, 2012. Hope to see you there!